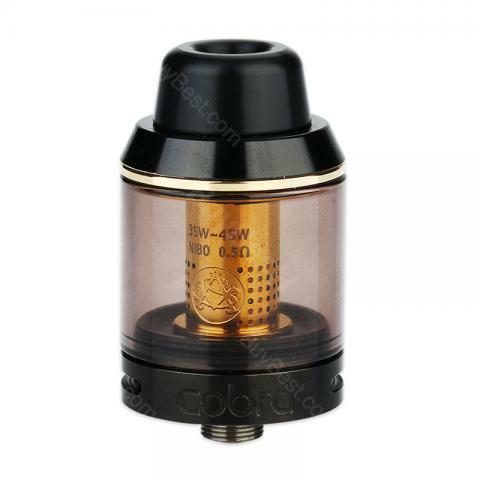 Asvape Cobra is a beautiful subohm tank with 24mm diameter and 3.8ml huge e-juice capacity. It will bring you a better vaping experience with huge cloud and pure flavor. Black and SS colors available. Asvape Cobra is a beautiful subohm tank with 24mm diameter and 3.8ml huge e-juice capacity. 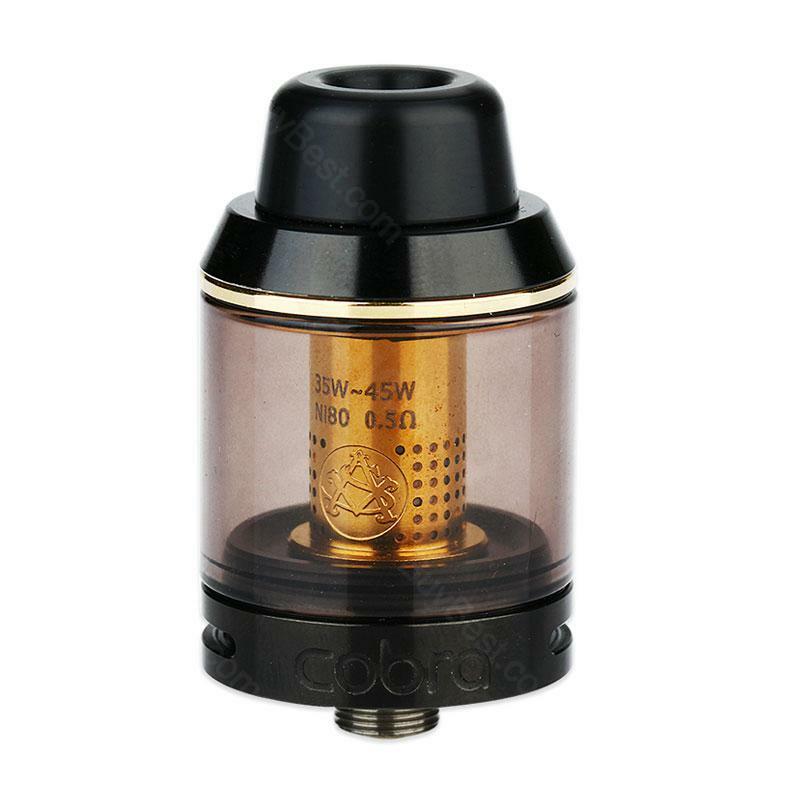 It comes with unique 0.5ohm Ni80 Cobra coil which takes e-juice in 360° and supports 100% VG or very thick e-liquid. Together with 2 holes adjustable bottom airflow and food grade SS304+ material, the Asvape Cobra atomizer will bring you a better vaping experience with huge cloud and pure flavor. Black and SS colors available. • 510 thread. Compatible with most 510 thread batteries/MODs. • It doesn't come with e-juice. Not sure if it’s the new design of the coils that produce the deep flavor, but you can expect the vape to be good. Granted, it’s not going to compete on flavor against the RDA’s or RTA’s but it’s pretty close. The only downside is the relatively small capacity at 3.8ml, which doesn’t last long, but if this is part of the design to reduce the whole size and create a better flavor, then we are happy with that. Overall a great sub-ohm tank that not only competes with the top tanks on the market but beats them in flavor! See more Asvape Cobra Sub Ohm Tank Atomizer review. Great flavor and good vapor production. 3.8ml capacity is just for me. It seems the Cobra works better than my Atlantis in terms of flavor and cloud. My favorite sub ohm tank by far. Great flavor. Easy fill. Asvape Cobra is a good subohm tank. Highly recommend!